ProfG has been addressing the issue of brain shrinkage and asking-Which agents are the best? We may not all agree on what is the best, but one can ask what is/are the worse. Surely we should do an Freedom of Information to find the Centres that prescribe alot of them and then one would know where to avoid:-0. These neuros are happy to prescribe treatments that are not going to do alot for most of their recipients, but they are easy to monitor. Meanwhile tick, tock, tick, tock as your brain reserve is eaten…never to return. Having looked at some pharma trials where their strong active drug was compared to these weak efficacy options we see people in the trials, permanently lose neurological function due to the two years on an ineffective (for the population) treatment, so pharma can get an easy positive result. If doing trials in relapsing MS against placebo is considered unethical, Surely doing a trial against the “low-hanging fruit” is unethical too!!! OK I sound like a stuck record and you are right and I don’t have the clinical qualifications. Prof G is asking how do you assess brain volume loss. As this study shows you could go to a specialist imaging lab (which is why we see the same names on trial papers over and over again) or you can get a robot to measure it. Whole brain atrophy (WBA) estimates in multiple sclerosis (MS) correlate more robustly with clinical disability than traditional, lesion-based metrics. We compare Structural Image Evaluation using Normalisation of Atrophy (SIENA) with the icobrain longitudinal pipeline (icobrain long), for assessment of longitudinal WBA in MS patients. Magnetic resonance imaging (MRI) scan pairs [1.05 (±0.15) year separation] from 102 MS patients were acquired on the same 3T scanner. Three-dimensional (3D) T1-weighted and two-dimensional (2D)/3D fluid-attenuated inversion-recovery sequences were analysed. Percentage brain volume change (PBVC) measurements were calculated using SIENA and icobrain long. Statistical correlation, agreement and consistency between methods was evaluated; MRI brain volumetric and clinical data were compared. The proportion of the cohort with ann ualized brain volume loss (aBVL) rates ⩾ 0.4%, ⩾0.8% and ⩾0.94% were calculated. No evidence of disease activity (NEDA) 3 (no relapses, no active MRI activity or clinical progression) and NEDA 4 (NEDA 3 +brain atrophy) were also determined. Mean annualized PBVC was -0.59 (±0.65)% and -0.64 (±0.73)% as measured by icobrain long and SIENA. icobrain long and SIENA-measured annualized PBVC correlated strongly, r = 0.805 (p < 0.001), and the agreement and consistency were excellent. Weak correlations were found between MRI metrics and Expanded Disability Status Scale scores. Over half the cohort had aBVL ⩾ 0.4%, approximately a third ⩾0.8%, and aBVL was ⩾0.94% in 28.43% and 23.53% using SIENA and icobrain long, respectively. NEDA 3 was achieved in 35.29%, and NEDA 4 in 15.69% and 16.67% of the cohort, using SIENA and icobrain long to derive PBVC, respectively. icobrain long quantified longitudinal WBA with a strong level of statistical agreement and consistency compared to SIENA in this real-world MS population. Utility of WBA measures in individuals remains challenging, but show promise as biomarkers of neurodegeneration in MS clinical practice. Optimization of MRI analysis algorithms/techniques are needed to allow reliable use in individuals. Increased levels of automation will enable more rapid clinical translation. SIENA although a place in Italy is actually a method for estimating brain volume. It is widely used by expert MRI reading centres to measure the percentage WBV change (PBVC) between two time points in MS studies. The proposed pathological cut off of greater or equal to ⩾0.4% annualized BVL (as measured by SIENA) has been incorporated into the criteria for ‘no evidence of disease activity’ (NEDA) four . Of the 73 patients on therapy at baseline; 40 were on the CRABS. At follow up we had 96 on treatment and 38 on CRABS and 4 on alemtumab and HSCT. Now let’s look at the Brain atrophy paper. People on treatment are loosing 0.9% per year on treatment not that great if you consider profG was extolling the virtue of effective T cell inhibition reducing brain loss down to 0.2%, which is within the normal aging range. So go on a real life, neuro selected treatment and you lose 5 times the brain of the highly active drug….or artifically age 5 times faster. Is this acceptable? No comment…. all this crap drugs should go. And i am pretty sure neurologists should know which ones they are. Great Article MD. So why did barts laud NHS when they restricted Some crab drugs on cost? I remember Prof G writing article about limiting patient choice? Surely to set example barts should ban crab drugs all together right? When we have as safe and mildly more effective drugs like tecfidera and abagio. But we both know that’s not going to happen as some of your funding comes from the same companies that make these drugs. Alas the world is grey…. The CRABS do work for some and people select what they want. In case you haven’t realised ProfG is more diplomatic than I am and he is a patient advocate and as you say based on his conflicts he does rub shoulders with pharma and they have his phone number to complain. I don’t currently have research funding from any of the CRAB makers. As for banning…remember the pwMS with MS selects what they want, and the MS nurses will also have preferences, which may influence choices too. 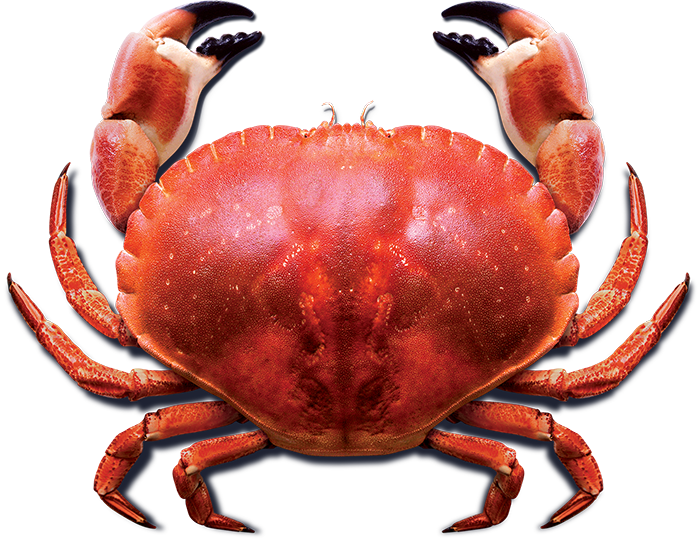 I suspect that our prescriptions of the CRABS is not high compared to other centres (I would lovet to see the UK wide prescriptions-Pharma have the data) and just think, if I say this stuff in public just thing what I say in private. What gets used, changes with the times. New prescriptions.. I know the majority are not CRABS. Thanks MD. Wasn’t having a go at u or Prof G. Just pointing out the obvious. Thanks for your reply. Taking Crab drugs is like taking curcumin. And yes it works very well for 50%. But then would they have done just as well without the drug? Also pharma are now doing trials using more effective drugs as placebo controls. For instance posinmod vs tecfidera. Sorry to say this doesn’t sound very scientific. Can you put your hands on that robot to run a comparative analysis of your existing MRI scans at Barts? Grateful for the manner of your posts MD whereby you supply the science for those who can understand it and then, as you say, put it in terms of real life. There’s only a small amount of the science/research I can meaningfully access, having no science or medical training and ability with maths so poor it beggars belief. But all of us can get the loss of 5x the brain of someone given higher efficacy DMTs. It’s makes my blood boil that every single day PwMS are losing out because of a) dinosaur neuros, b) neuros who’s hands are tied by NHS eligibility criteria and now c) the unethical brainshredding in clinical trials! I will add another push therefore for please tell us more about what we can do to benefit ourselves in addition to fighting for a more potent DMT, if possible. If ProfG can talk infections, exercise etc, perhaps you can shed more light on trials/studies on lipoic acid, choline, Vitamin Bs etc. Can’t imagine there aren’t a lot of us out here who haven’t already added to our supplements supply since diagnosis! May the CRABS become history in the near future! For those new to blog CRABS are itchy things you get in your….no sorry I mean CoPaxone, rebif, avonx, and betaferon. MD are your aware of Dr Ebers ex-oxford consultant.opinion? He is aware of the lack of efficacy of some ms drugs. Prof Ebers….Yes I have seen the film. His opinion is grounded in the world of yesteryear when CRABS were king. Now they are not and they should be spelt with a P. I have no problem with this, but survival data argues against no effect. However, a relevation for 2013?-I could go back to the mid 1990s for that view. As you know I have never been a fan and no it was not me involved in the original negative view back when the Risk Sharing Scheme was started. A fudge to make something available that we all knew was not very good at the population level. dr md are you aware of dr Ebers ex Oxford consultant ‘s opinion? If you can say what is your opinion on this? George Ebers was basing his opinion on the old CRAB low efficacy drugs. Things have moved on since then with the new highly effective DMTs. Sorry if I wasn’t clear that I find your posts as accessible: both for the scientists and as much as they can be for someone like me – despite the science you always nail it in some straightforward manner that is eminently accessible! Also sorry that the supplements research is dismissible in a sentence. Guess it’s a case of continuing to consume in the hopes of some benefit. This was with <= 100 mg daily ibudilast taken over 96 weeks. "Results: Participation occurred between May 2, 2011, and August 14, 2015. Study arms of LA (n = 27) and placebo (n = 24) were matched with mean age of 58.5 (SD 5.9) years, 61% women, mean disease duration of 29.6 (SD 9.5) years, and median Expanded Disability Status Score of 6.0 (interquartile range 1.75). After 2 years, the annualized PCBV was significantly less in the LA arm compared with placebo (−0.21 [standard error of the coefficient estimate (SEE) 0.14] vs −0.65 [SEE 0.10], 95% confidence interval [CI] 0.157–0.727, p = 0.002). Improved Timed 25-Foot Walk was almost but not significantly better in the LA than in the control group (−0.535 [SEE 0.358] vs 0.137 [SEE 0.247], 95% CI −1.37 to 0.03, p = 0.06). Significantly more gastrointestinal upset and fewer falls occurred in LA patients. Unexpected renal failure (n = 1) and glomerulonephritis (n = 1) occurred in the LA cohort. Compliance, measured by pill counts, was 87%." This was with 1200 mg of Lipoic acid taken daily for progressive ms patients over 2 years. Both of these show efficacy with brain atrophy and shouldn't then be considered evidence enough for further trials as an add on therapies to existing effective DMTs like Tsyabri and Ocrevus? Considering both are really cheap? Maybe more on lipoic acid in the fututre. Thanks for a clear article. One thing dear Mouse doctor – loose/lose spelling confusions. Loose = not tight “a screw loose”. Lose = to no longer have something often without intention to lose. Dyslexia, can’t spell and not sure what it was written on. Soory there is no copy editor…there you go…..I can’t spell sorry. There are less dyslexic people in Germany I once heard. As a German speaker, I say that the spelling, compared to English, makes sense. Beautiful language. How anyone manages French, I don’t know. And I’m not dyslexic. Being a phonetic language, spelling and pronounciation of German is easier… I guess it got lost by our Angle (of Schleswig-Holstein) and Saxon (Saxony) Germanic Ancestors. MD has accused George Ebers on blog of profiting from Pharma. Very unfair. Pots calling kettles black. After advice All I’m saying… I am just a teacup:-). Prof Ebers also said – the newer the drug, the bigger the “who knows what” in terms of side effects. The field of MS is full of drug pushers, including those on the drugs who have to believe it’s the right thing to do. Does the C-reactive protein level (high sensitivity CRP) correlate with BVL at all? BVL associated with inflammation: are you sure? Of so, how does that relate to the smoldering MS post where patients are NEDA3 yet still regressing? What do you think causes brain volume loss? Current thoughts are that is inflammation…smoldering MS is inflammation. Are you asking if brain volume loss correlates with gadolium enhancing lesions as seen by MRI..I am talking biology not MRI. You know what i think about MRI correlations…it a sea of rather meaningless guff that does not help the individual know their MS journey.